I am on the email mailing list for my local discount pharmacy. 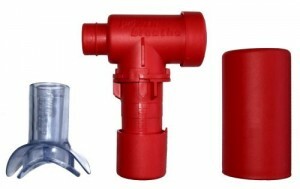 Early in 2009, one of their regular emails featured the POWERbreathe with an advertised price of $140. The idea of exercising my lungs really appealed to me. For a long time, I’ve had a bad habit of holding my breath when concentrating on something, and experienced a feeling of painful stiffness in my ribs whenever I tried to take deep breaths. More and more of my regular work, fitness and leisure activities started to depend on good breathing. For many years, I have frequently had to give oral presentations, which involve speaking loudly in front of a group. Also, in early 2009 I got into singing and busked outdoors on loud city streets, having to compete with passing motor vehicles. Also, I went to the gym regularly to do a cardio class that involved floor exercises, punching a bag and riding an exercise bike, and I do dance classes once a week I have to do drills and learn choreography. The only dedicated lung exercise I knew of was to repeatedly inflate and deflate a rubber party balloon – something I saw Cyndi Lauper advise an Australian Idol Top 10 singing contestant to do. Even this exercise is limited that it only exercises exhalation – breathing out. I was particularly intrigued by the scientific tests cited by the POWERbreathe advertising literature. It referred to research conducted at Brunel University in the UK, which showed that exercising inspiratory breathing muscles through resistance training provided an increase in aerobic capacity, but exercising expiratory muscles – those used to breathe out – provided no benefit. Despite that, I had to be realistic – I had no idea how useful it would be. Would it be one of those fad fitness tools, or would it genuinely help me? To me, $140 seemed too steep for a risky purchase, compared to what I paid for a previous fitness product I purchased – the Neckline Slimmer Neck Exerciser, which was only $20. Naturally I checked to see if I could find the POWERbreathe at a better price on eBay, and of course I found it for a much more reasonable $80. 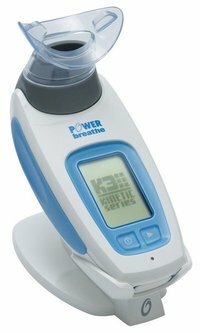 Since early 2009, the makers of the POWERbreathe have released newer products, so the price has fallen even further. 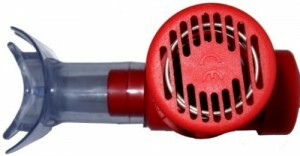 The original POWERbreathe, now called the POWERbreathe Classic, comes in three models – each specially created for Wellness (Light Resistance), Fitness (Medium Resistance) and Sports Performance (Heavy Resistance). Naturally, I picked the Sports model, which is red. The POWERbreathe website has plenty of information about the various health and performance benefits from using it, and the sort of people who would find it useful. Do you do some physical activity that results in you having to breathe faster or more heavily? Do you find yourself panting during day-to-day activities, e.g. climbing stairs, running to catch the bus or train? Do you do some activity that you have to frequently make loud noises from your mouth? Do you need to warm up in a hurry before a race or training session? You may find the POWERbreathe helpful. I started using the POWERbreathe with resistance level 1 and gradually increased to resistance level 5. At the end of each week, I would turn the resistance knob either 1/4 to 1/2 a turn, depending on what I could handle. I have taken three long breaks from using the POWERbreathe when I was recovering from several colds, flus and a prolonged tonsilitis. In the last year there have been an unusually large level of germs going around Sydney, and most of my friends and colleagues have had to take sick leave more often that in previous years. After my regular gym session, I would spend 10 minutes on their computerised exercise bike doing an intense cardio routine. This exercise bike has a programmable resistance level. After 2 months of regular cycling, I had hit a wall at resistance level 20, out of a maximum of 25. After using the POWERbreathe for several weeks, I was able to complete the 10 minute workout on the maximum resistance level of 25. I was forced to take a prolonged break from the gym following a period of illness in June this year. One month later, I substituted gym with a single 1 hr weekly session with a personal trainer who lives nearby. My fitness dropped over that month and during the personal training class, I would find myself clutching my chest and panting heavily after doing 3 sets of 2-minute rapid strikes against a bag. I decided to try warming up using the POWERbreathe 10 minutes before starting the personal training session. To my pleasant surprise, I was then able to complete the personal training session without stopping. When I combined the POWERbreathe with the intercostal muscle stretch exercise that I developed myself (described further down), I was able to greatly reduce the pain and tension I felt in my rib cage whenever I took deep breaths. These are my own tips gathered from my own experience. Most of these are precautionary measure to keep it clean. Many germs can infect the body through the respiratory tract. 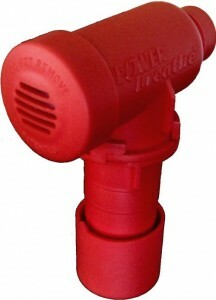 As you are breathing directly through the POWERbreathe, it is important that you keep it germ free. Yours lungs can expand more when you are standing. That is why singers are almost always standing when they are singing. If you breathe out through your nose, you will get less spit and moisture inside the device. You can of course breathe out through the POWERbreathe – there is a valve that allows air to freely flow in the opposite direction. You might simply choose to breathe out through your nose simply to minimise the amount of your own saliva collecting inside the device. On your last breath, breathe in through the device before taking it out of your mouth. 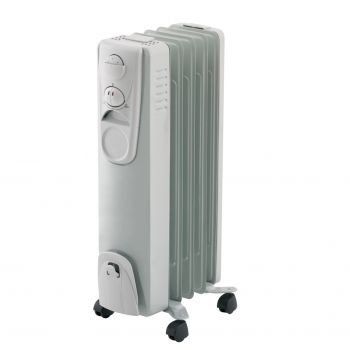 This is for a similar reason – by sucking in, you will be removing moist air from the device and prevent it from condensing on the inside. 2. 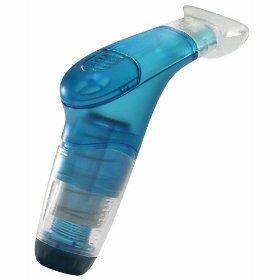 Do the same with the rest of the POWERbreathe, and then shake out the excess moisture by holding the clinder with your hand and flicking your wrist sharply downwards a few times. The POWERbreathe comes with a small pack of disinfectant tablets. You can buy more of these if you want. The instructions also say that you can use anti-bacterial tablets that are used for cleaning baby milk bottles and pacifiers, which can be purchased from any pharmacy (drug store). Here in Sydney, I use Milton anti-bacterial tablets that contain 500mg of Sodium Dichloroisocyanurate. For you campers out there, this is the same chemical that is used to disinfect drinking water. These tablets cost a few dollars for a pack of 30. If you are temporarily without tablets, you can use a capful of bleach (Sodium Hypochlorite), but it is not considered as effective as the anti-bacterial tablets. 2. 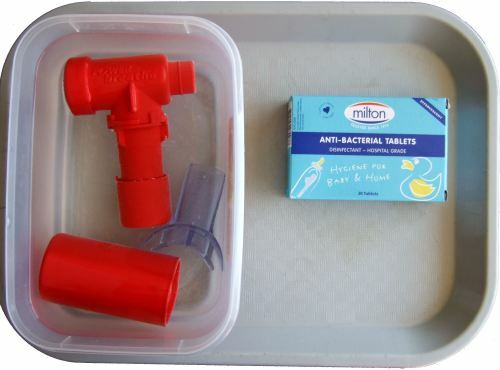 Place the POWERbreathe and the mouthpiece completely in a plastic container, e.g. tupperware container or other microwave bowl. 4. Add a single water purification tablet, and let the POWERbreathe disinfect for 15 minutes. I recommend a sealed plastic box, like a lunchbox, or inside a cabinet. I would NOT leave it on the bathroom table or vanity unit. Every time another person flushes the toilet, microscopic droplets of dirty waste water could enter the air and settle on the device. 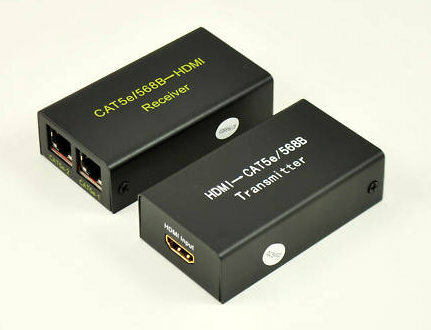 It is cheap enough for every person in your household to have their own. Warning: This exercise has not been reviewed or recommended by a health professional. I did this at my own risk. I developed this exercise for myself because I felt my intercostal muscles were too tight at the front and back of my ribs, so they were preventing my lungs from expanding to full capacity. I consider this exercise to complement the benefits I get from using the POWERbreathe. 1. First, I breath in fully as much as I can and then I close my throat, like when I hold my breath when swimming. 2. Then, I use my cheeks and mouth to drawn in additional gulps of air, and force them into my lungs. 3. I continue until I feel a sense of pressure building up inside my chest and back and I feel my rib cage stretching outward. Eventually, it will be difficult to keep the air inside. 4. I hold this for 10 seconds, and then release the air slowly. 5. I repeat this 5 times. The original product that I purchased has been renamed the POWERbreathe Classic. It is the most affordable in the series. 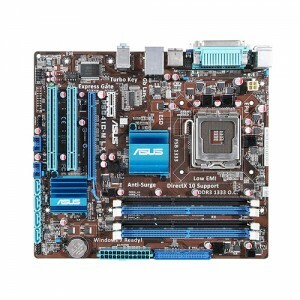 This is the second generation product. The main differences, according to this comparison chart, are that it has a slightly different appearance. 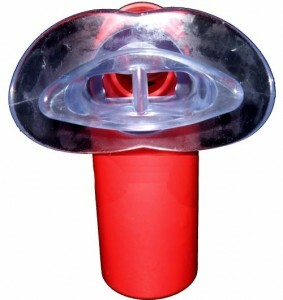 It has 10 adjustable resistance levels, an anti-bacterial mouthpiece up to “65% increase in airflow performance”. I don’t know exactly how that is defined. 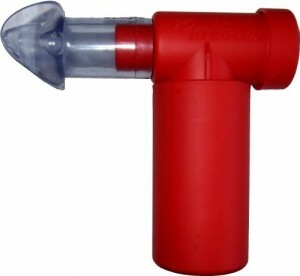 A striking fact about these resistive lung trainers is that sucking over/past some object placed between the lips is much more effective as regards lung expansion than the admittedly successful gadgets. Hello Richard, thanks for commenting. Do you have links to articles that support your statement about the effectiveness of resistive lung trainers? I agree that the kind of resistance experienced when using the POWERbreathe is not like anything a person would naturally encounter, but the same comment could apply to all kinds of exercise equipment that you find in gyms. 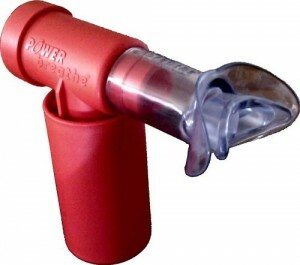 I personally find the POWERbreathe very helpful in increasing my aerobic capacity. I use it every week, just before starting a workout.